Nearly 300 miles of the Missouri River remain closed to barge traffic due to high water and swift currents after massive floods hit the Midwest. 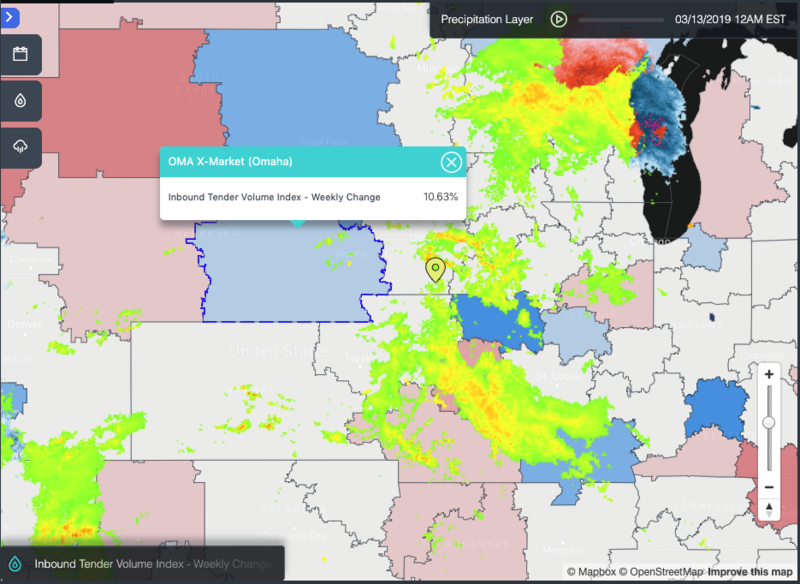 While local communities are feeling the flood’s negative impacts, the Missouri’s declining role in river transportation means that there will be very little impact on nationwide bulk transport markets. The USCG originally closed a 100-mile stretch of the Missouri in the blizzard’s immediate wake on Friday, March 15. But with water levels and currents still rising, the closure was extended to 265 miles. A USCG spokesperson was unable to provide any immediate count of barge queues or vessel delays occurring on either side of the closed section. A Cargill-owned grain elevator in Council Bluffs, Iowa, which can handle three barges, is closed due to the flooding. A Warren Performance Products-owned lubricants and plastics manufacturing facility in Council Bluffs is also served by barges on the Missouri River. A Warren representative was unavailable to comment on the plant’s status. With most of the nation’s grain barge traffic moving on the Mississippi River, the Missouri River plays a very small role in agriculture markets. It’s mainly used for shipping bulk commodities such as wood products, pulp, sand, gravel and metals. But barge shipments of crude materials has largely been flat since 2015 at just over four million short tons per year, according to the U.S. Army Corps of Engineers. The amount coming down river from the Midwest has fallen from four million short tons in 2008 to 2.4 million short tons in 2017. Upriver volumes, though, show small growth, reaching 1.83 million short tons from 1.49 million short tons over the same time.